(and maybe Governance), published by the Center for Global Development. “AH, NON—PAS COMME ÇA!” my new colleague Jean-Luc said sharply as he reached down and yanked out the rubber seedling. He held it up in front of the trembling farmer’s face. “Bapak, tiga meter!” he growled. Three meters—that was the optimal spacing for planting rubber trees. Not the one and a half meters that he had just measured. Jean-Luc marched down the row of new plantings, yanking out every other one, and I watched as the farmer’s face grew more and more afraid. Finally, Jean-Luc said to me and the Indonesian official present, “Let’s go,” and we got into the jeep and roared off down the road, back toward the capital of Jambi,a district on the Indonesian island of Sumatra. The date was late 1987, and this was my first “mission” to Indonesia. I had joined the World Bank only a year before and spent my first six months helping negotiate a structural adjustment credit in Niger, where my main job was to tell government officials how to improve their water and sanitation systems. As I prepared for that earlier job, I was initially terrified and overwhelmed: I knew almost nothing about water and sanitation, and I had never been to Niger. Fortunately, I found that the bank had hired a well-known engineering firm from France, and it had left behind numerous reports filled with all sorts of analyses. It turned out to be pretty straightforward just to read the reports, harvest the recommendations, and tell the government what to do in order to receive our low-interest structural adjustment credit worth tens of millions of dollars. Having learned the ropes in Niger, I felt well prepared on that first trip to a farmer’s field in Indonesia. I had read lots of reports from rubber experts, many of whom had spent the previous decades running plantations in places like Malaysia and Thailand and even Vietnam. 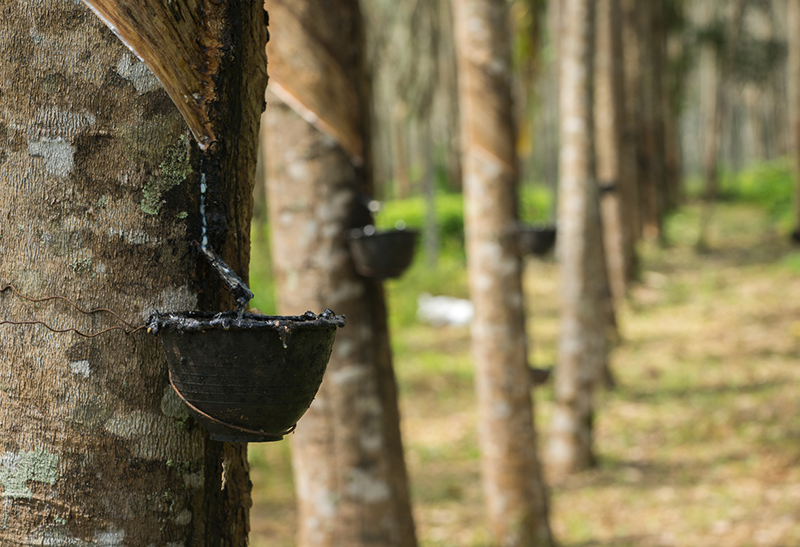 It was clear that plantations could optimize the rubber yield per hectare by spacing the rubber trees at specific distances and applying fertilizer and pesticides at well-established rates at certain times of year. Building on this knowledge, in the 1970s the World Bank lent hundreds of millions of dollars to finance the planting of huge areas of Indonesia with tree crops, including rubber. The early projects had been implemented through state-owned plantation companies, which typically owned plots in the thousands of hectares. The Indonesian government was so pleased that it had asked the bank to begin designing projects to help small farmers grow rubber, and the bank responded enthusiastically, with several million more dollars of financing. These new smallholder projects recruited a lot of farmers who had never grown rubber trees. The objective was to get them to convert their fields of food and other crops primarily to rubber. They would be given a bank credit to cover their costs and were expected to repay according to a certain schedule. Our models showed that even after making their loan payments, farmers would have substantially higher incomes than before. Many farmers, I later learned, were reluctant to be recruited, so they had to be convinced by local government officials, who needed to meet certain implementation targets. Others, like the farmer I had just met, embraced the opportunity to try something new that might increase their income. Yet, since he had no experience with rubber, this farmer was wary of taking too much risk by converting all of his precious land. He had been told that he was required to plant 555 trees on his hectare of land so he did a reasonable thing: he planted all of those trees on half of his land, and he reserved the other half for his usual food crops and to graze a few small livestock. I was so outraged by what Jean-Luc did to the farmer that I complained about it to my boss, but he just shook his head and sighed. (My complaint later got back to Jean-Luc, who was furious.) So I went back to my office in Jakarta, put my head down, and burrowed into my spreadsheets analyzing debt repayment schedules, future rubber yields by year, and the anticipated needs for rubber processing plants. One day a few months later, I got a call from a young English guy who was an advisor to the Indonesian Ministry of Planning. He said that he had just returned from a different province in Indonesia where the World Bank was financing a similar project, though this one to plant coconut. “Listen, why don’t you come over to my office and I will show you the spreadsheets so you can see what’s going on. I am surprised you weren’t able to teach the farmer what to do,” I told him. I shook my head and did what every respectable World Bank economist at that time would do: I made excuses about not being able to meet him and hung up and continued with my spreadsheets and analysis. My colleagues and I later had vigorous and extended debates— including one very public showdown in a large meeting—with the British anthropologist and his fellow advisors about the best approach to smallholder tree crops and other agriculture- sector issues. I was worried at first, because their arguments had a ring of truth, but eventually my colleagues and I prevailed because we held the power of the purse. We were able to lend the Indonesian government hundreds of millions more dollars, and our anthropologist friend was not. That encounter between Jean-Luc and the farmer haunted me for years. First and foremost, I could not shake the image of the farmer’s face after his seedlings were ripped from the ground. He had been so proud when we arrived, and he looked so confused and scared as we pulled away in our jeep down the heavily rutted roads. And the battle we had with the government advisors had left a bad taste in my mouth. It had initially felt good to be on the winning side, but many of their arguments rang true, even at the time. My bank colleagues and I had amassed enough sheer firepower to prevail, and I felt like a bully. For the next several years, I continued to feel ill at ease with the work I was doing at the World Bank, where I participated in or led many projects and studies in several countries. I was keenly aware that I had the luxury of working with the largest aggregation of top development experts in the world. But the way we worked did not seem right. It took me more than a decade to begin to articulate the problem and to understand that poor information and perverse incentives were the main causes. Over time, I have grown to believe that regular people should have the most say in selecting which aid initiatives are chosen to help them. In this sense, I have become a proponent of “bottom-up” aid. I am unaware of any rigorous analysis that has been done on this topic, but my own estimate is that aid is currently 20 percent driven by regular citizens and 80 percent driven by experts (of which I used to be one). Even if not exact, my estimate underscores the inherent bias I see in aid planning, and I believe this ratio needs to be reversed. There is of a role for experts, especially relating to the design and provision of public goods at the national and international levels. But experts should drive 20 percent of the agenda, not 80 percent.